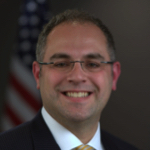 Robert A. Cohen is Chief of the SEC Division of Enforcement’s Cyber Unit. The Cyber Unit is a national specialized unit that focuses on cyber-related misconduct. Previously, Mr. Cohen was Co-Chief of the Enforcement Division’s Market Abuse Unit. Mr. Cohen joined the SEC in 2004. He has been involved in significant enforcement actions involving investment advisers and investment companies, insider trading, market manipulation, and public company accounting and financial disclosure violations. Prior to joining the Commission, Mr. Cohen was in private practice and served as a law clerk to the Honorable Alexander Williams, Jr., United States District Court for the District of Maryland. He received his J.D. from the New York University School of Law, where he served on the Law Review, and received a B.S. from Cornell University.